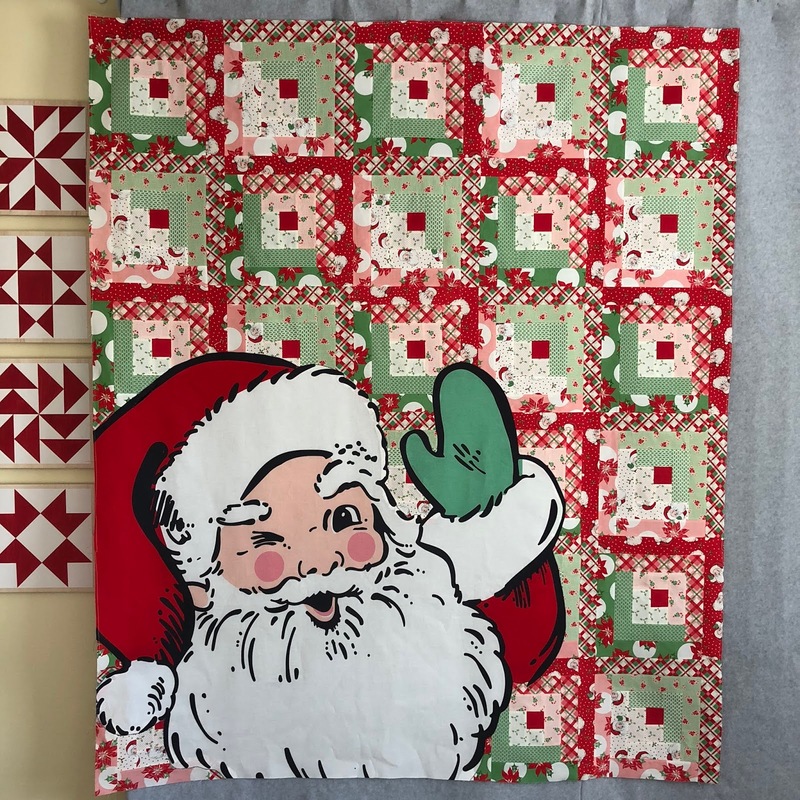 I met my goal of piecing 6 holiday quilts this year for some special friends and family. This is the quilt that got me to 6. The pattern is Peppermint Lane by It's Sew Emma for the Fat Quarter Shop. I made just a couple of changes. 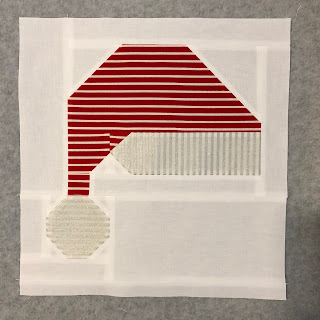 And I replaced the gingerbread house in the pattern with Bonnie's Santa hat, which I fell in love with while making Christmas Cheer. I'm thinking next year I should make a quilt top of nothing but Santa hats, festive mittens, and maybe a mug of hot cocoa thrown in for fun. 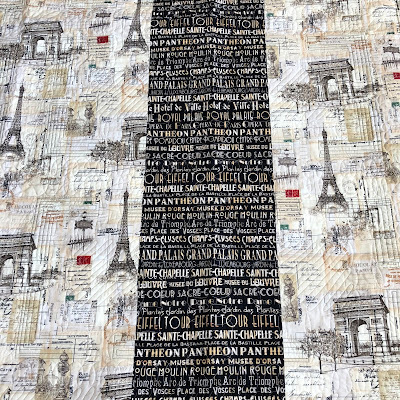 It finished at 55" x 69"
It has approximately 884 pieces. 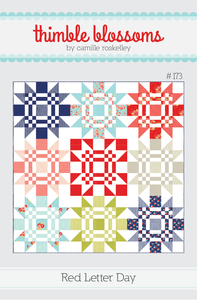 I'm leaving off that outer border called for in the pattern. I like the cleaner look this top has without it. 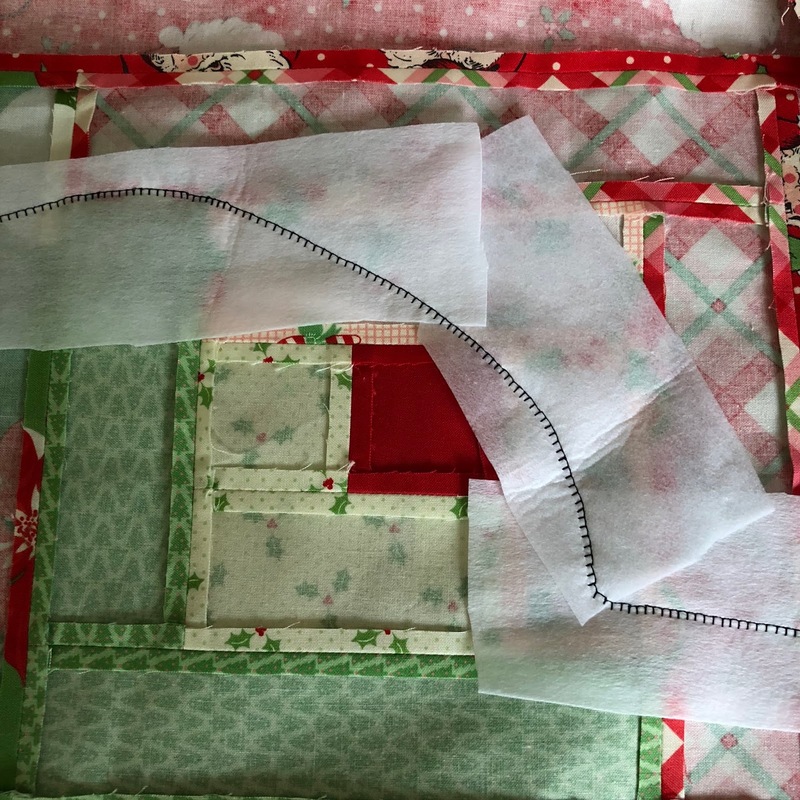 But to add a little sparkle I'll use the silver stripe fabric from Vintage Holiday for the binding. 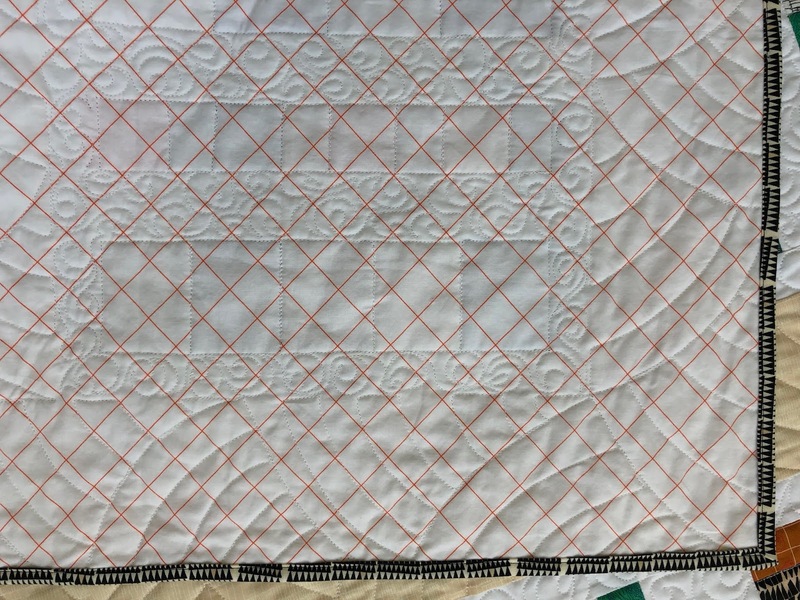 I now have one week to piece my traditional October halloween themed quilt, I don't know what it will be, other than fast and easy. 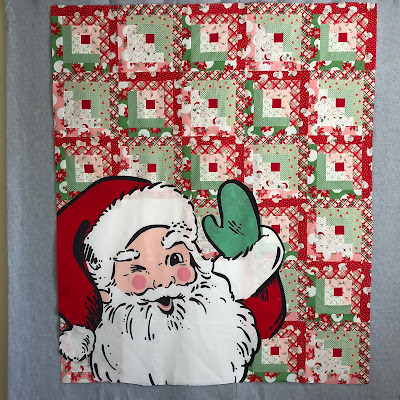 Here's my latest Christmas quilt finish. I started out making Christmas Cheer by Bonnie for Cotton Way. 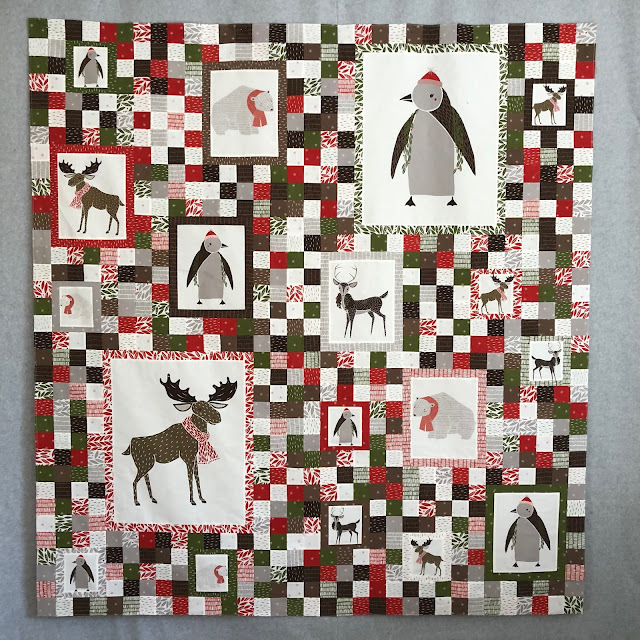 But once I got a few blocks made I looked at the finish size of that quilt and decided I didn't want a quilt that was 77" x 88", so I omitted a few rows of blocks from Bonnie's pattern and added a couple of blocks from It's Sew Emma's Peppermint Lane pattern and a tree block I put together myself. 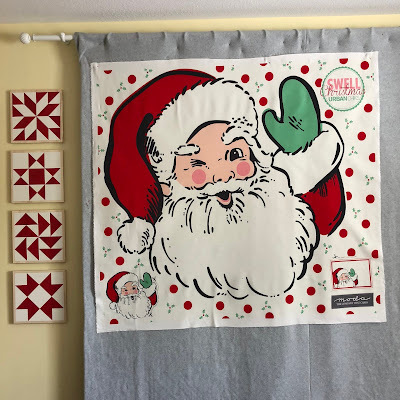 The patterns I used are Christmas Cheer by Bonnie at Cotton Way and Peppermint Lane by It's Sew Emma for the Fat Quarter Shop. It finished at 70" x 71"
It has approximately 932 pieces. 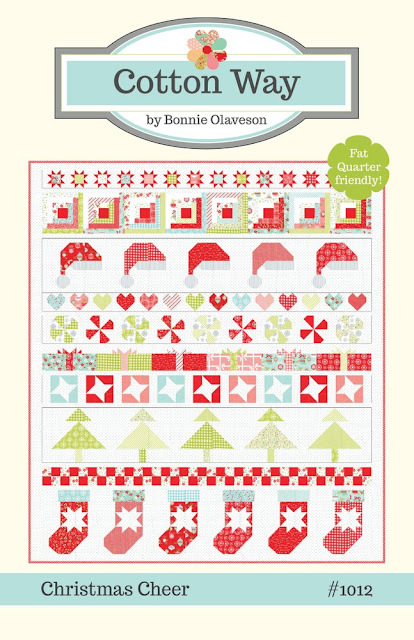 Bonnie's pattern is available here. 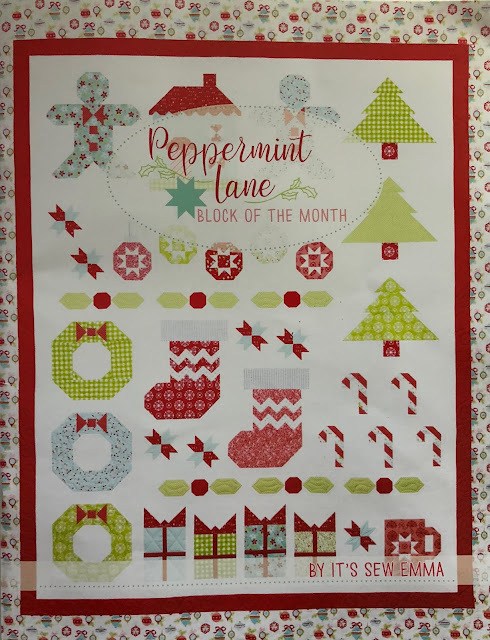 Peppermint Lane is available here. Here's how I pieced the trees, each strip is 2 1/2" wide. 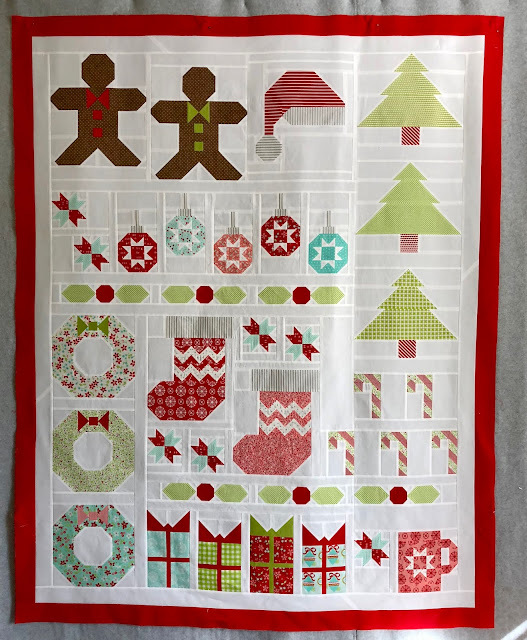 You need 5 green rectangles, 2 1/2" x 4 1/2", 2 1/2" x 6 1/2", 2 1/2" x 8 1/2", 2 1/2" x 10 1/2", and 2 1/2" x 12 1/2". 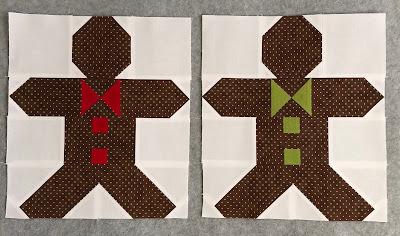 You also need ten 2 1/2" background squares for each green rectangle. 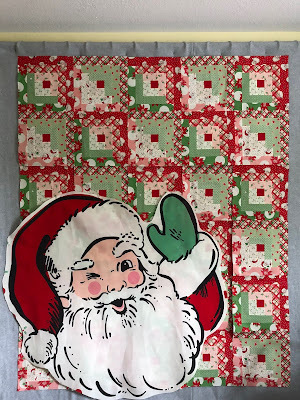 Add two 4 1/2' background strips to the first row, two 3 1/2" background strips to the second row, two 2 1/2" background strips to the third row and two 1 1/2" background strips to the 4th row. 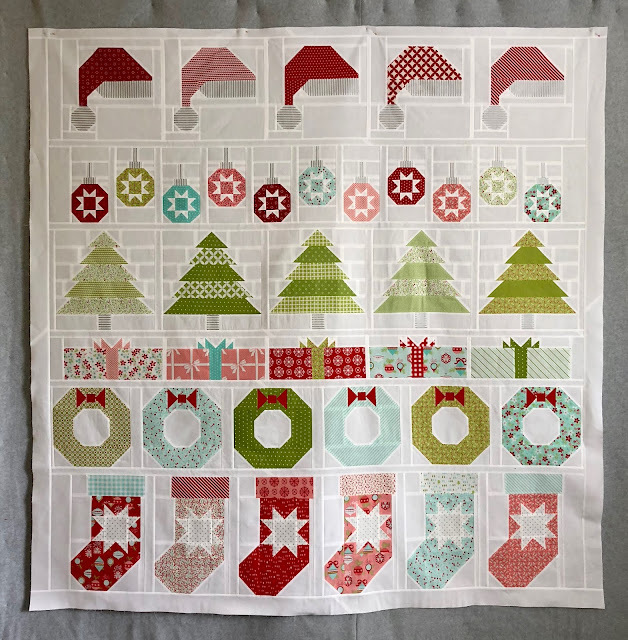 The tree trunk is 2 1/2" x 2", add two 5 3/4" background strips. 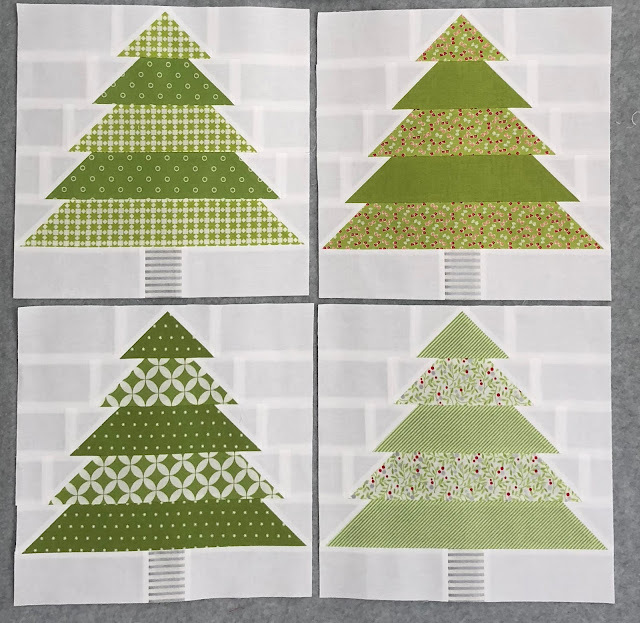 Each tree block should measure 12 1/2" x 12 1/2". Just one more Christmas quilt top to go to meet my 2018 goal. 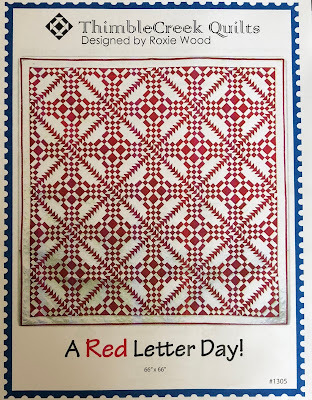 Another Red Letter Day ?!?!? 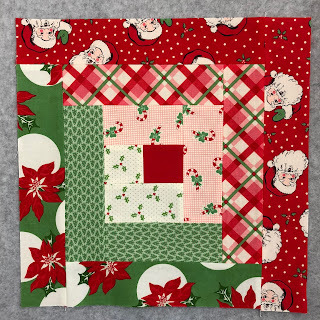 I'm still needing a few more Christmas quilt finishes if I'm going to meet my goal of giving Christmas quilts to family and friends this year. 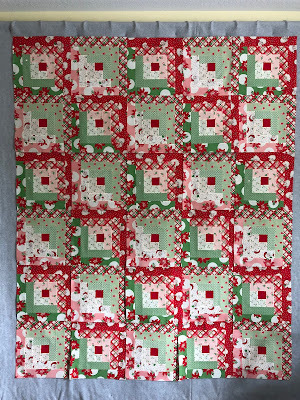 Here's my 5th Christmas quilt finish for 2018. This pattern packs a lot of punch for such a small time commitment. 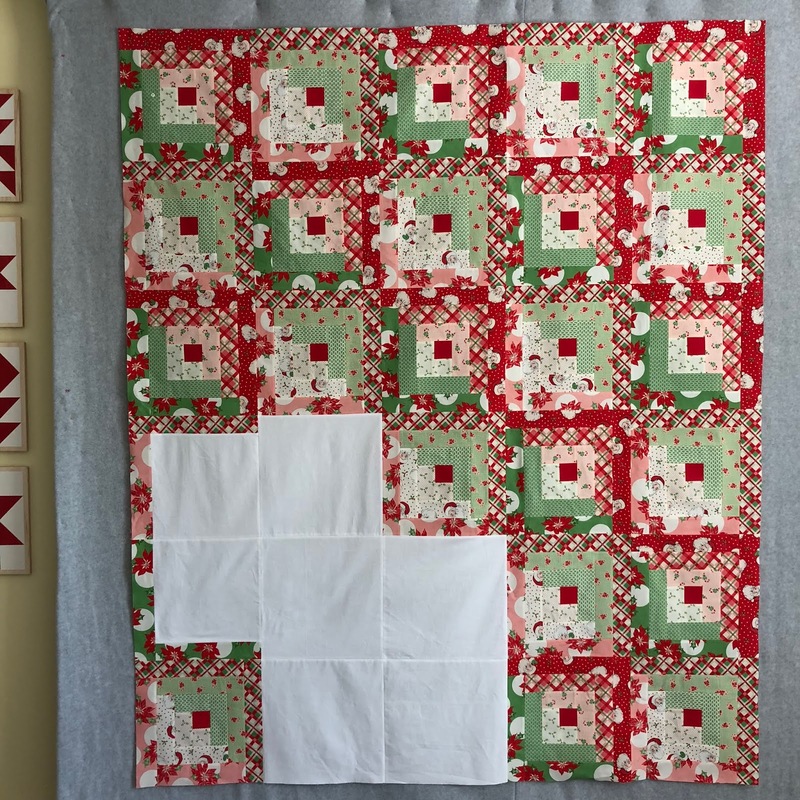 I pieced this top in 4 afternoons. 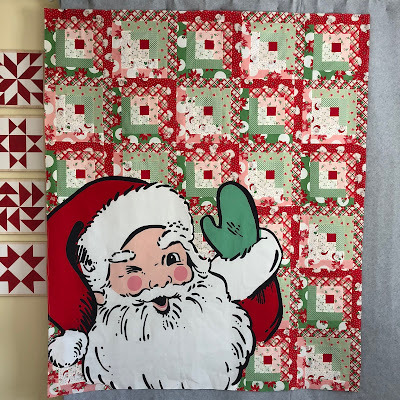 I thought it was a good choice for the Overnight Delivery fabric, the big block pieces allow the festive prints to really shine. 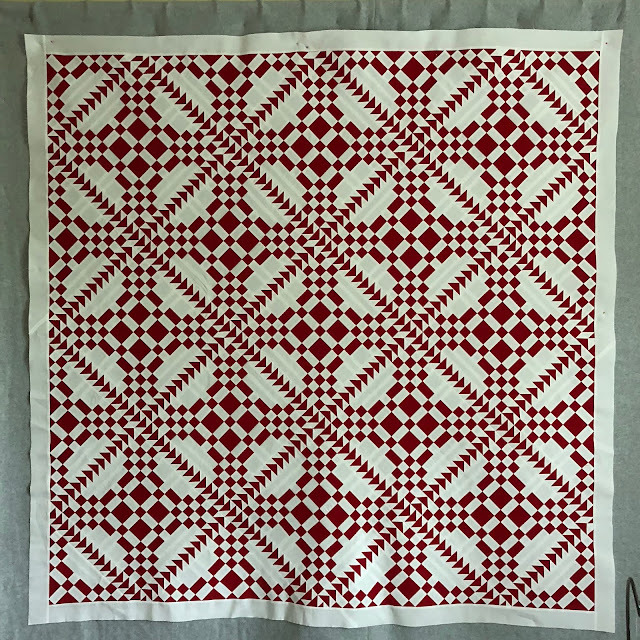 This is the third time I've used this pattern. 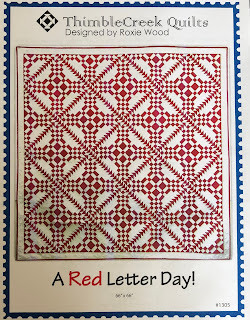 I made this fall Red Letter Day version for my brother and his wife. 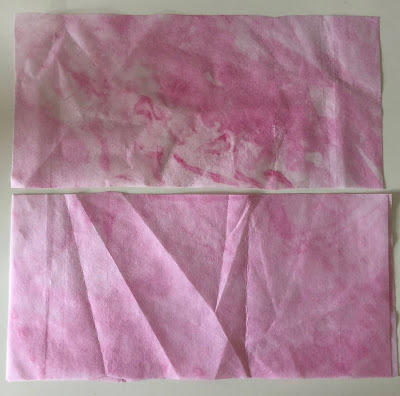 And this summer version that I made 4 years ago has been on my bed every August since. 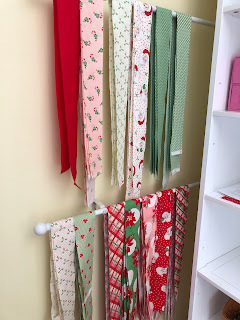 Two more Christmas finishes would be nice, but all the Halloween projects on social media are calling my name, maybe I can squeeze in one more Christmas finish before October. One of my quilt bucket list items is to piece a quilt top using nothing but solids, make that more than two solids, since I do have a few red and white quilts. 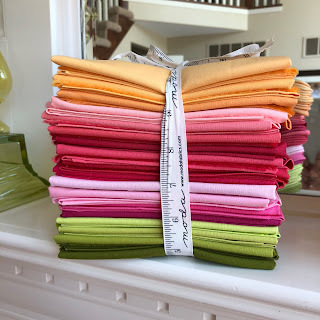 Last year a friend selected this beautiful group of Moda Bella Solids for me as a YoT birthday present. 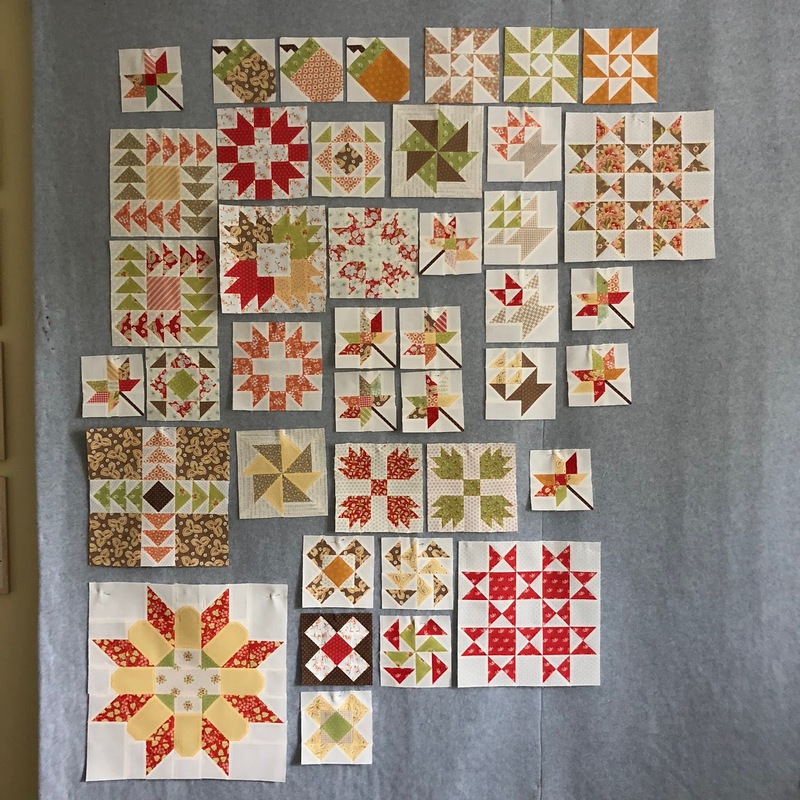 That was the hardest part of piecing a solids quilt, selecting a pleasing assortment of solids, and I didn't even have to do it. 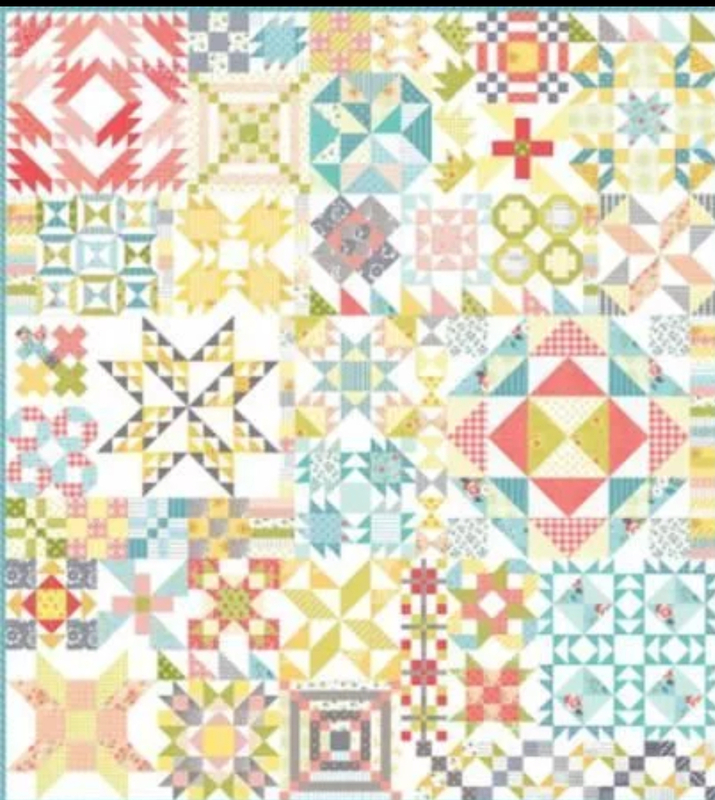 I love a good sampler pattern and decided Moda's Dessert Sampler Quilt pattern was a good fit for my solids bundle. 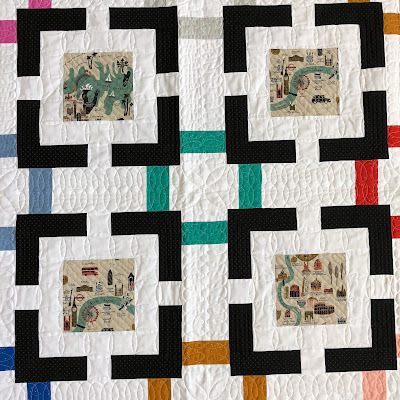 I replaced a few blocks with some of my own and rearranged the placement of a few others, but I think is still looks very similar to the original. It finished at 70" x 78"
It has approximately 2,082 pieces. Next up, I need to whip up about 3 Christmas tops, Christmas in September, doesn't quite have a motivational ring to it, but thinking about giving the quilts for Christmas presents is motivation enough. 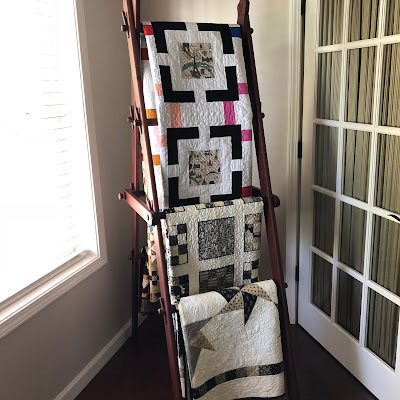 I had a sweet little admirer of my Merrily quilt that I donated to the hospital last year and decided to use my scraps to surprise him with a throw of his own. These Gingiber animals put a smile on my face every time I play with them. I've pieced 4 quilt tops using these adorable winter friends, and I didn't manage to keep a single one, lol. 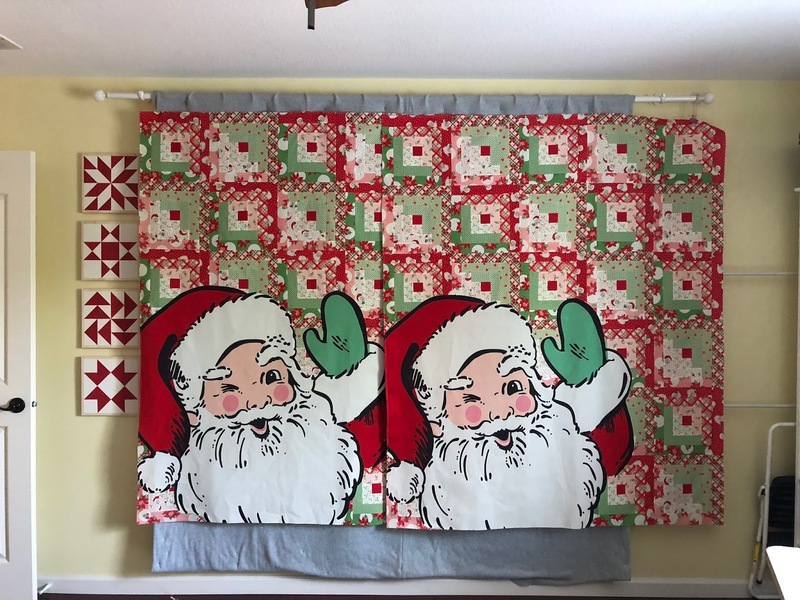 I just put it together myself, based on the scraps and panels I had on hand, no formal pattern. 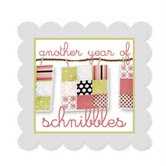 The fabric is Merrily by Gingiber for Moda. It finished at 66" x 70"
It has approximately 777 pieces. 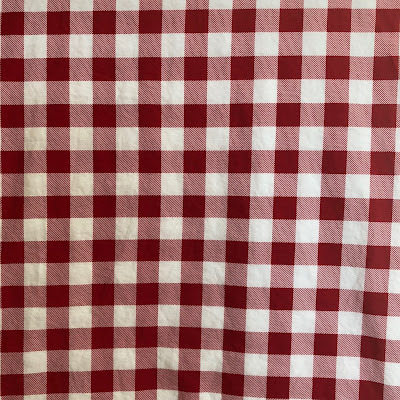 I'm going with this Moda buffalo plaid extra wide fabric for the back. 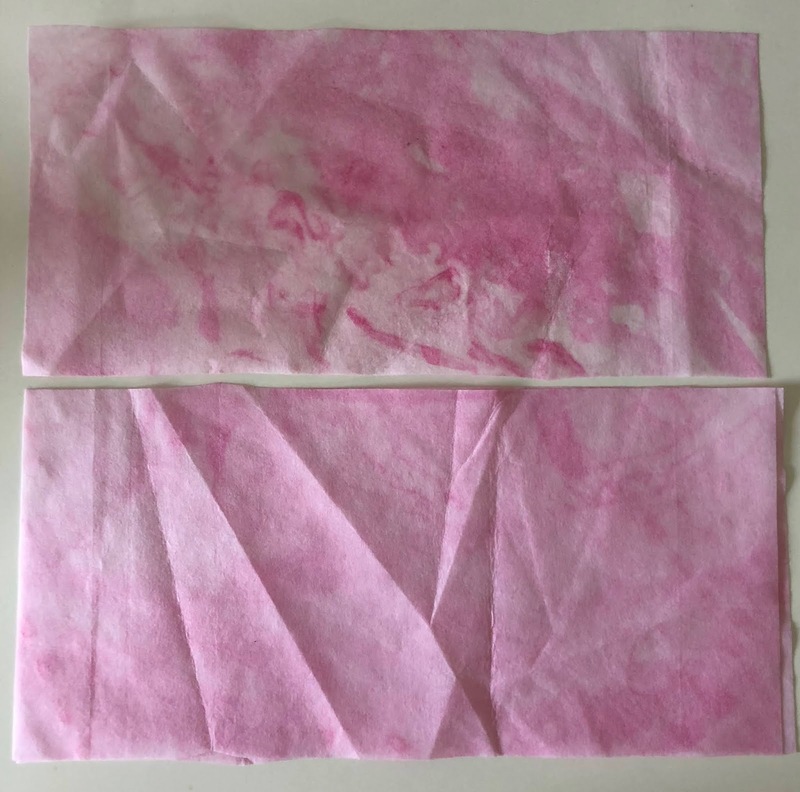 These color catchers were after the first wash, it took 3 more washes before the color stopped bleeding. This quilt has been on my to do list for years, I loved the look but was intimidated by amount of pieces that made up this quilt. 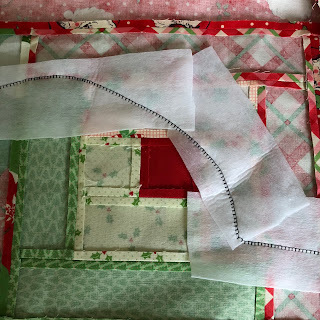 I don't know what I was waiting for, sure, there are a lot of pieces in this top, but the process was easy and I enjoyed every day in my sewing room while I worked on it. Someone mentioned the old quote, "How do you eat an elephant? One bite at a time" to me when I started this project. And I thought about that elephant while I pieced all the strip sets and 540 geese. 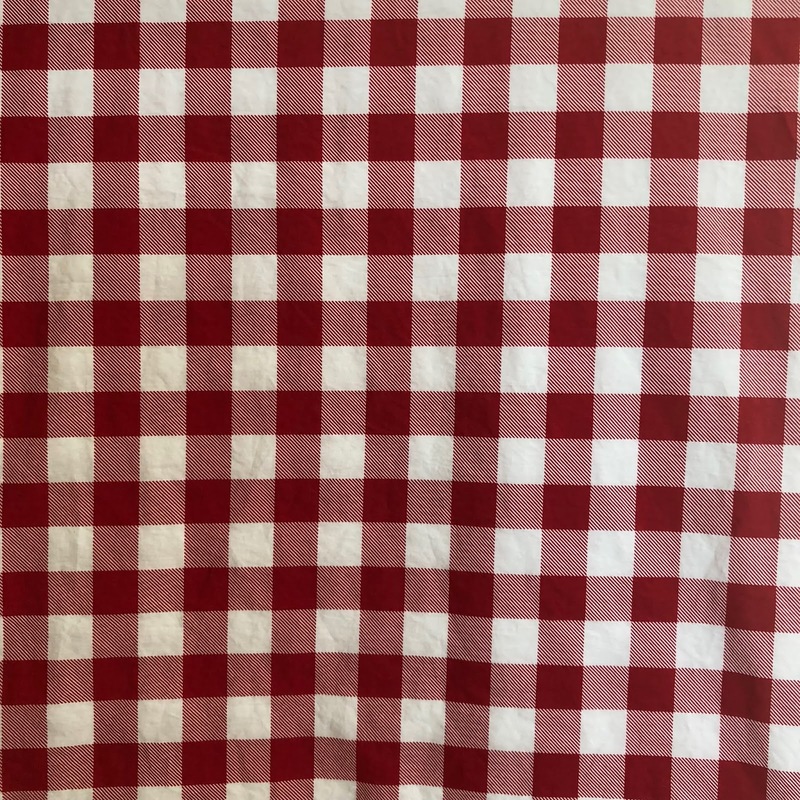 It's really the same for any project we start, regardless of the number of pieces, it's just one bite at a time. It finished at 69" x 69"
The red fabric is Moda Bella Solid 9900-16 Christmas Red (I prewashed this fabric and the color catcher came out as white as it went in!) And the white is Moda Bella Solid 9900-98 . It has approximately 2,917 pieces. 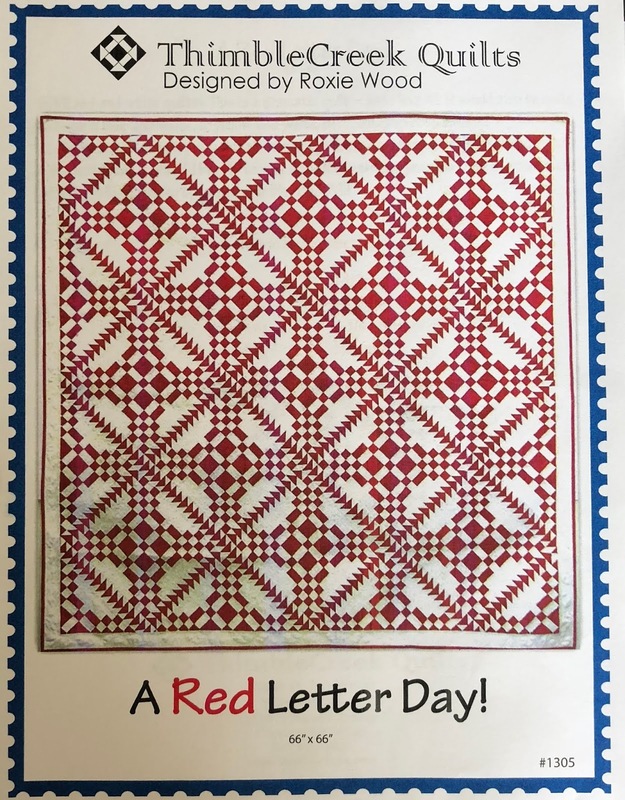 This pattern is still available from ThimbleCreek Quilts, click here. I saw a navy blue version online that was stunning. I don't have much of a history with Block of the Month programs. Out of my 220 some finishes 5 were block of the month programs. My last BOM was the 2015 Fat Quarter Shop's Snapshot quilt, a fundraiser for St Jude Children's Hospital. 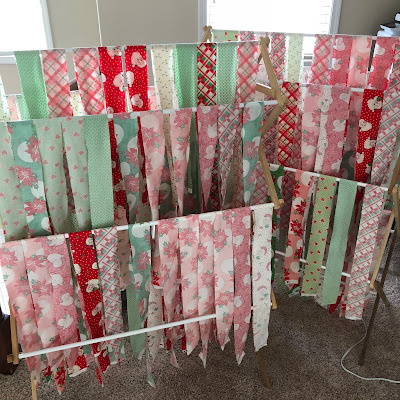 The blocks were super cute and fun to make, I stayed on track and made each block each month, and the FQS sent so much fabric for each block that I made another project just using the leftover scraps. It was a great experience. My worst experience was my 2012 Northern Lights BOM. 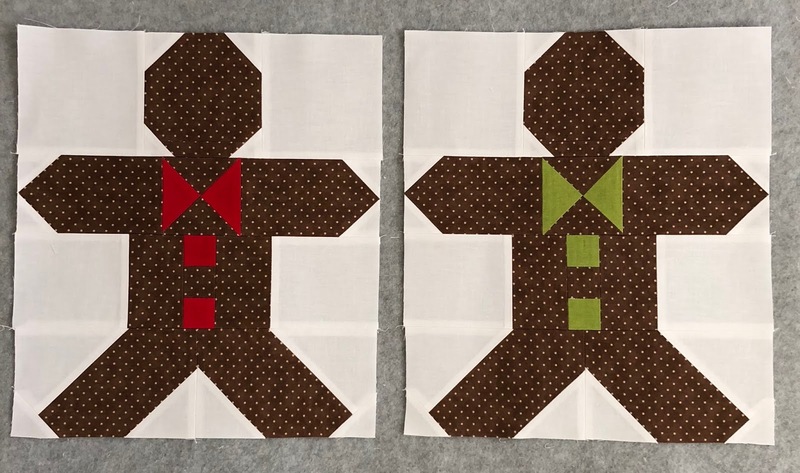 I signed up for the program based on the quilt shop website picture. 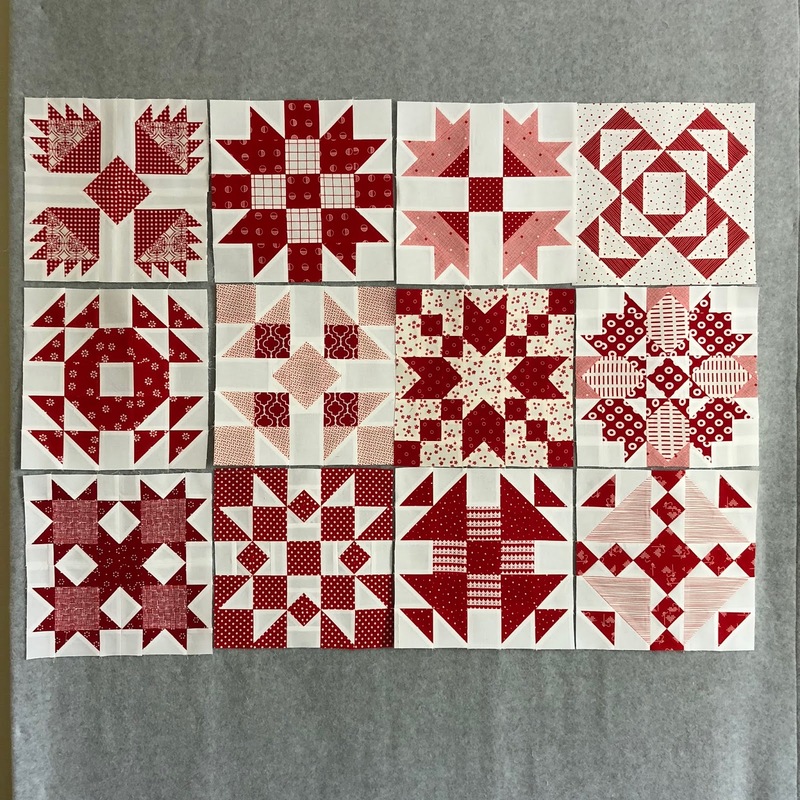 The shop did specify that the fabric in their program wouldn't be an exact replica of the fabric used in the pictured quilt, but would be very close. In actuality it was not, I basically paid $25 a month for a pattern because I threw their fabric away and substituted my own. 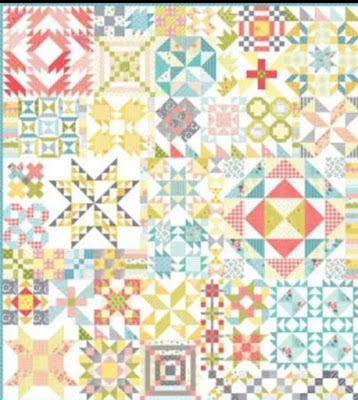 I did love the pattern and still have that quilt. There are pros and cons to BOM programs but a lot of it just comes down to personal preference. After a history of just a few block of the month quilts over the last 14 years I have somehow managed to sign up for 3 this year. I've spent the majority of this month getting caught up on them. 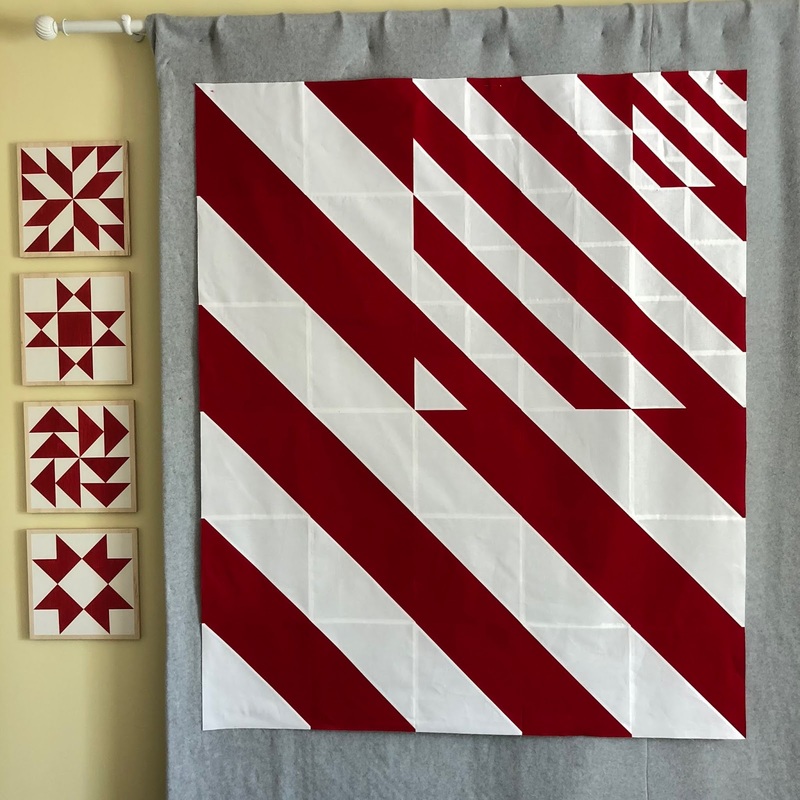 First up is the Red and Cream project by Fig Tree Quilts. This is a repeat of a program they offered last year. 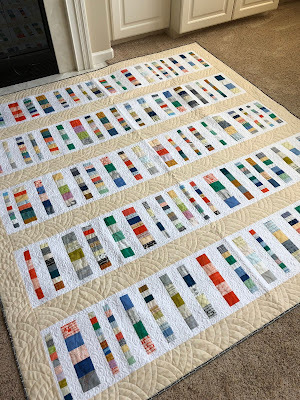 I loved the look of the finished quilts I saw online and was thrilled to be able to sign up for it this year. 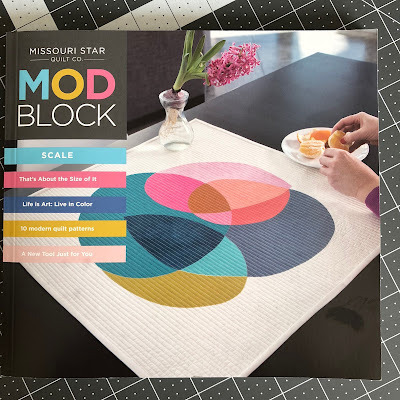 The blocks finish at 10". This is the first 6 months worth of blocks. I tend to let the monthly packets stack up then do them in a batch. I'm all caught up for now, 6 more months yet to come. I swapped around a few of the fabrics and replaced one of the patterns and could not be happier with the look. When I was signing up for the red and cream quilt another project also caught my eye, Fig Tree's Autumn Splendor Mystery BOM. As a rule I don't like surprises, this is my first mystery BOM. Every year I piece a quilt for a raffle for my hometown library. 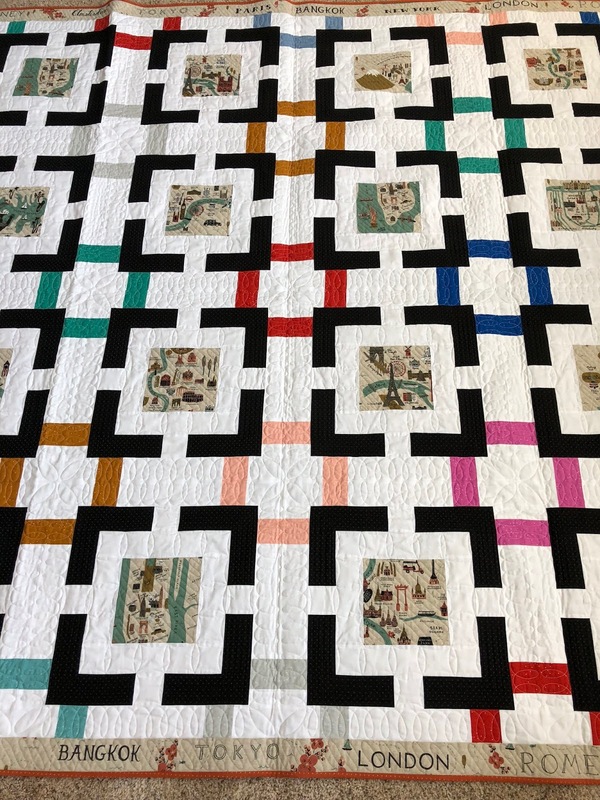 Fig Tree quilts are so pretty and seem to have a huge appeal, I thought this BOM would make a nice raffle quilt. I've really enjoyed piecing the blocks and love all the different sizes. 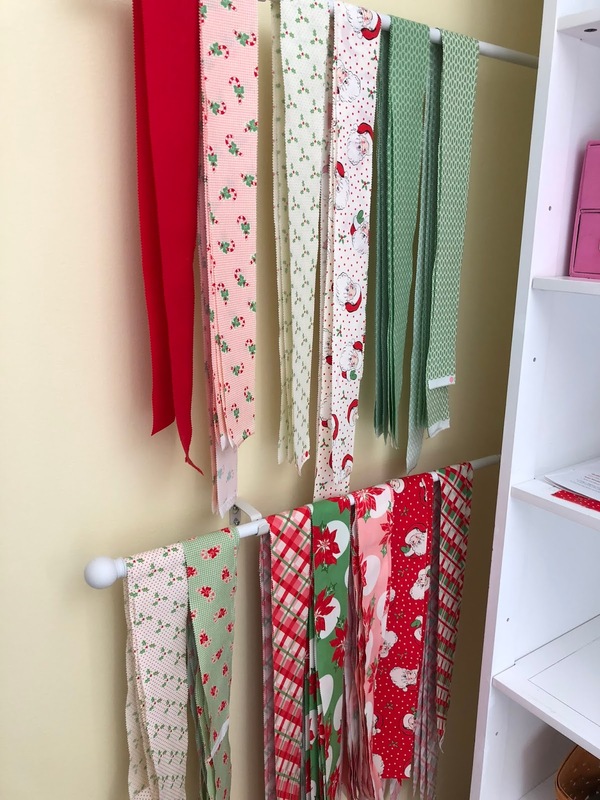 I prepped the fabric for 6 months worth of blocks all at once, so my fabric combos aren't exactly as called for in the patterns, but I'm liking the looks of things. I'm very eager to see what's ahead and how these blocks are going to be arranged. 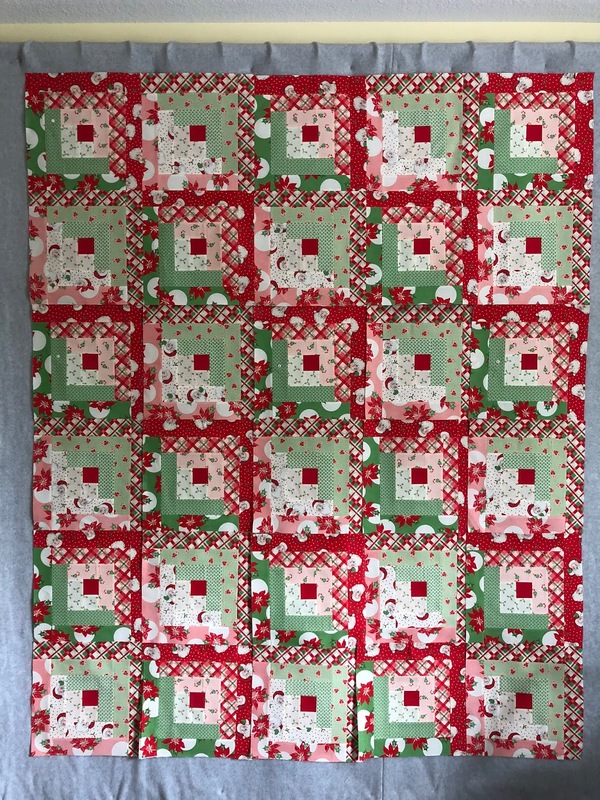 This may be a hard quilt to give up. 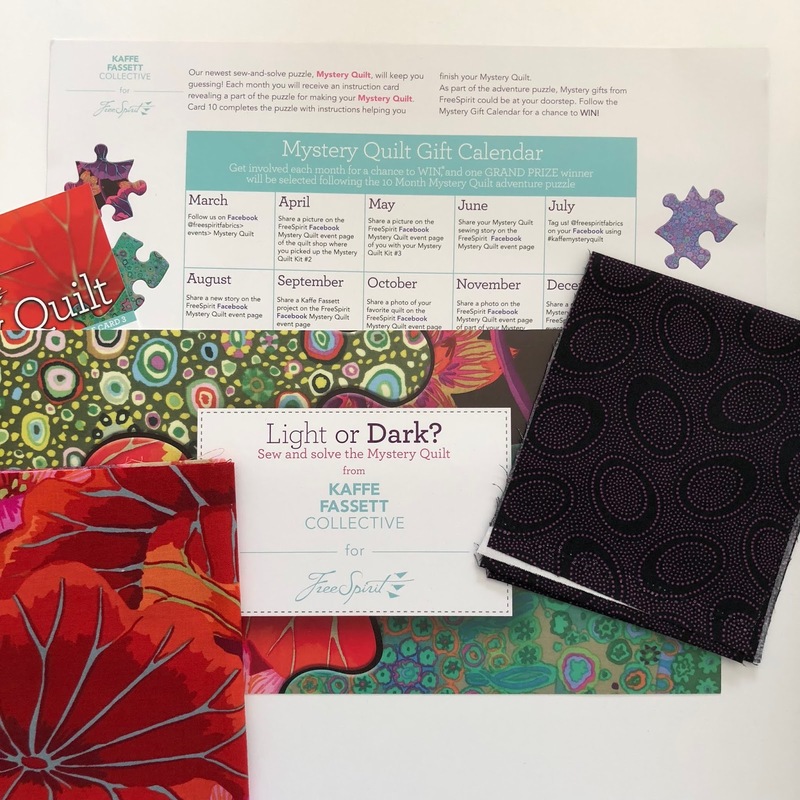 And finally, while I was in Oklahoma City for my Jen Kingwell classes at the Oklahoma City Quiltworks shop, they were just offering a Kaffe Fassett mystery BOM that caught my eye. 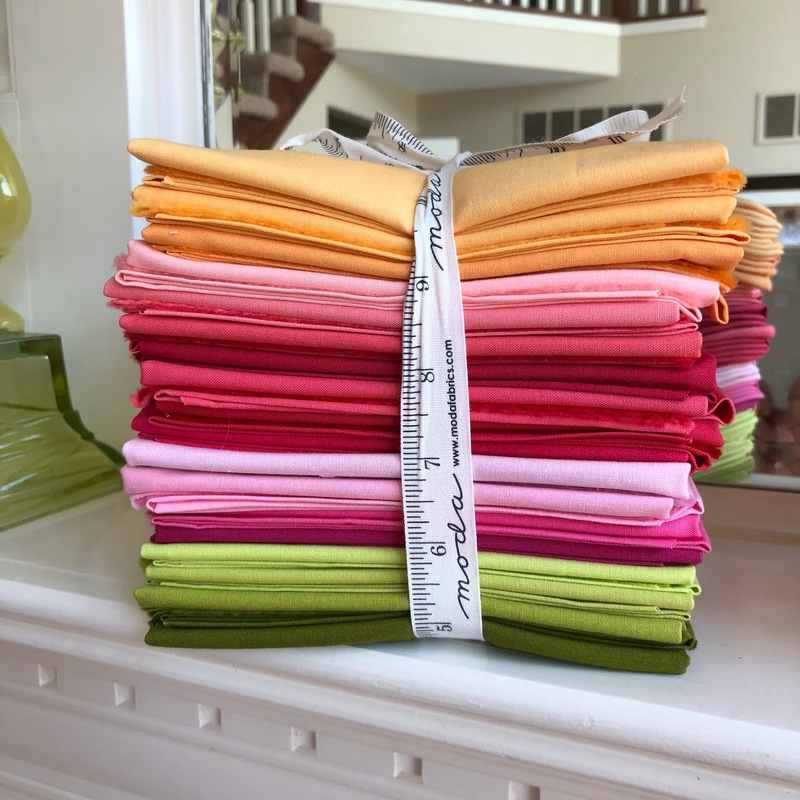 I love Kaffe Fassett fabric but am continually stumped on how to use it. I've made one Kaffe Fassett quilt that I love, but I used a family of fabric, which is a little bit like cheating. 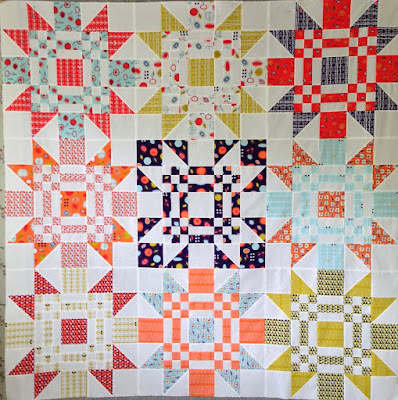 I thought this would be a great opportunity to piece another Kaffe Fassett quilt without any of the fabric stress. I've received the first three months, it's all very organized and the fabric looks yummy, but the mystery part is still worrying me a little, I plan to wait until I get at least 6 months worth of blocks before I start working on it. 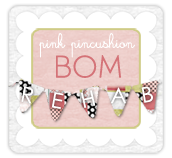 Are you a BOM fan? 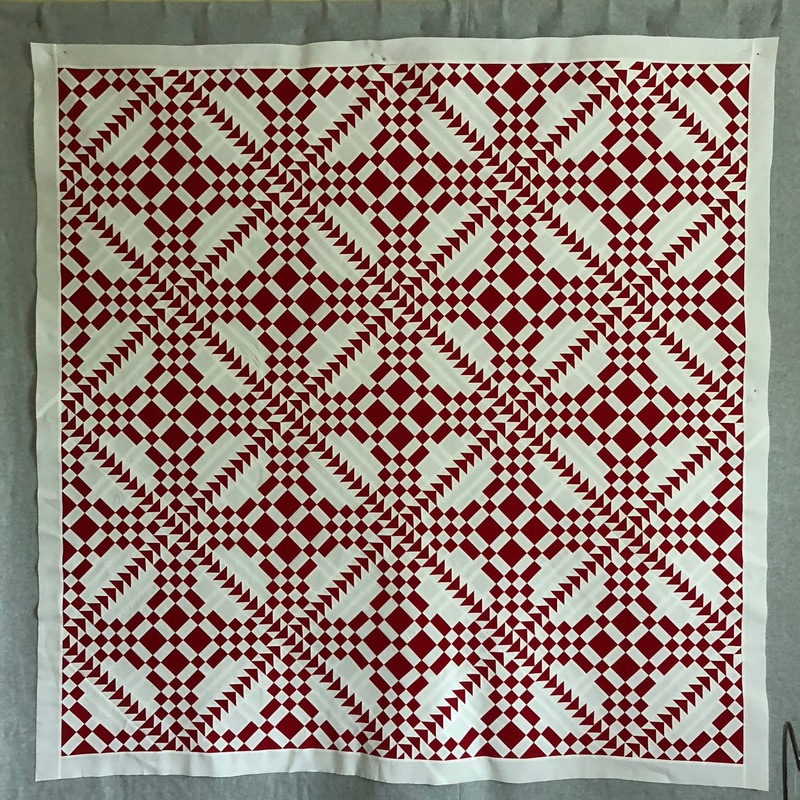 When you calculate the entire cost they are sometimes on the pricey side, but I've finished quilts that I love that I never would have made had it not been for signing up for the programs. 15 days, 10 flights, 8 different cities, 5 hotels and I survived, but just barely, jet lag is real and thriving at my house. Every year my daughter and I vacation together, some of my favorite days of the year. This year we toured China and Hong Kong. I flew to Los Angeles where I met up with my daughter so we could fly together to Hong Kong. We normally plan and book our own vacations but given today's political climate, throw in some language barriers and the sheer volume of sites we wanted to visit, we thought perhaps a tour company would be worth a try for our China trip. I cannot say enough great things about Adventures by Disney, the company we chose to lead us on what turned out to be the trip of a lifetime. 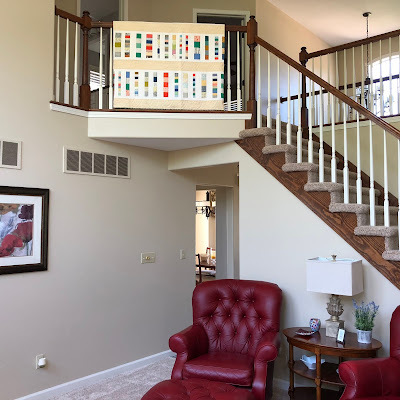 Everything was first class and every detail taken care of, and I'm all about the details. We were part of a wonderful group comprised of 25 other travelers and 2 guides along with local guides added for each city we visited. We cried at our farewell dinner when having to say goodbye to our fellow travelers who had become friends. There wasn't a rotten apple in the bunch, just the opposite, all fun, caring, polite and generous people and a nice variety of ages, young to old. But not too young, we went with the Adults Only Tour, lol. 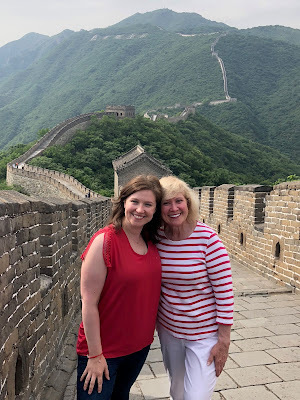 If you are considering a trip look into Adventures by Disney, I totally recommend the China tour but several couples in our group were on their 7th or 8th trip through AbD and said every destination had been amazing. 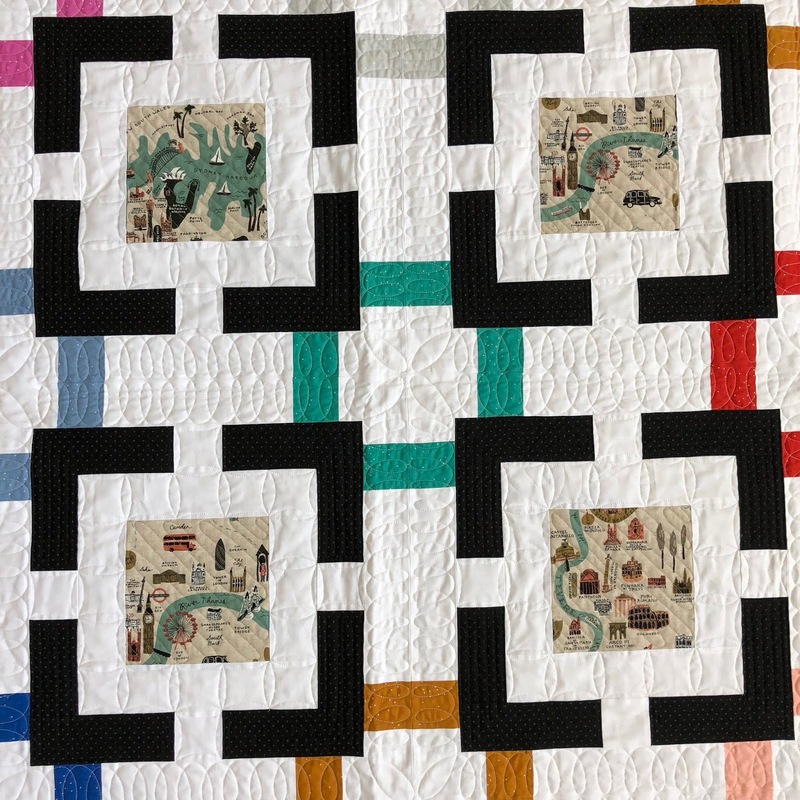 So while I've not stepped in my sewing room for weeks I do have some quilty updates to share, two quilts back from the quilter. 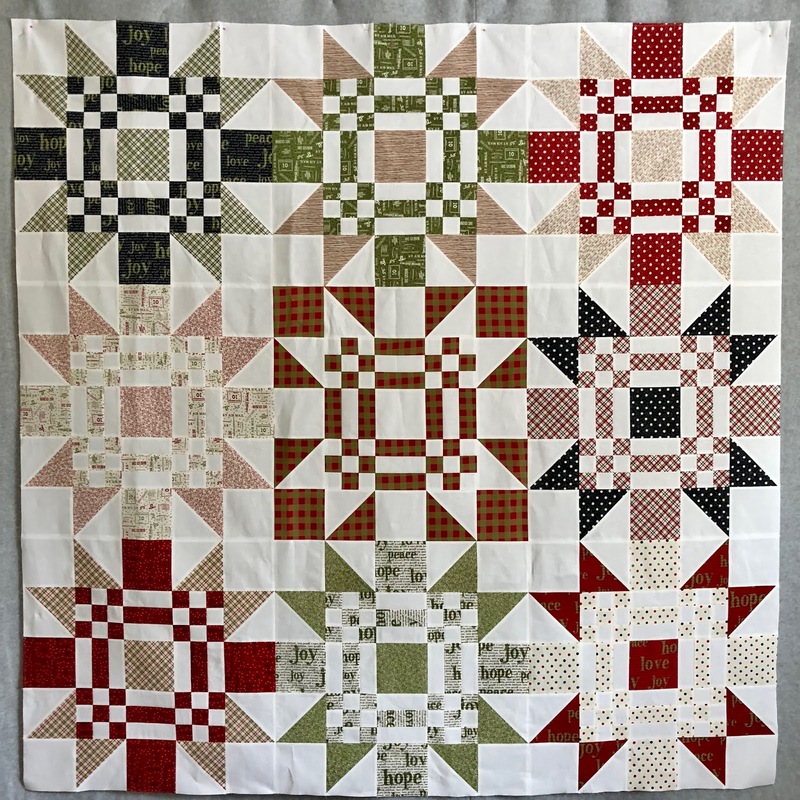 The right amount of quilting and variety of designs that match the look and feel of this quilt top perfectly. 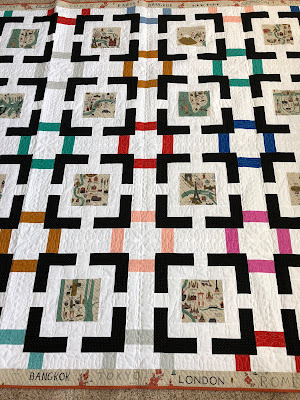 For the back I went with the extra wide diagonal print by Carolyn Friedlander. Another great job, perfect style matched with perfect execution. 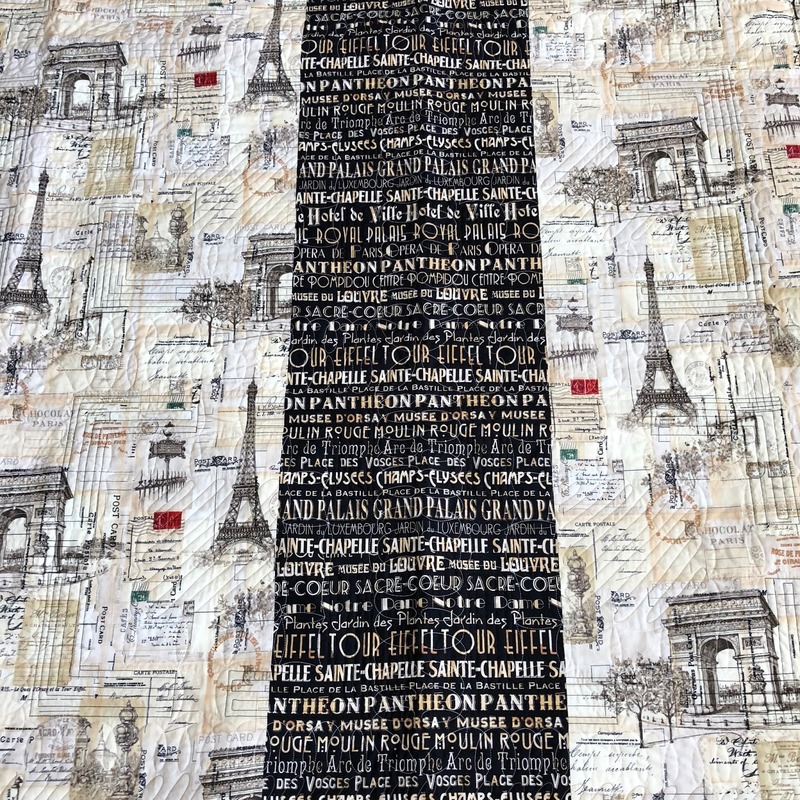 The back also has a travel theme. 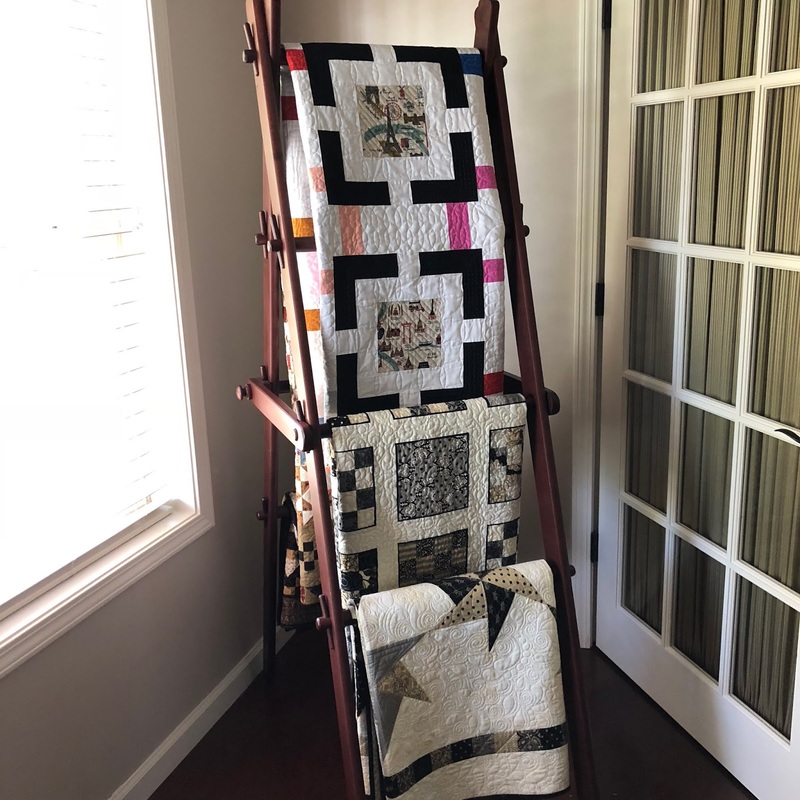 This quilt is for my daughter but will hang on my quilt ladder until she decides what she wants to do with it. 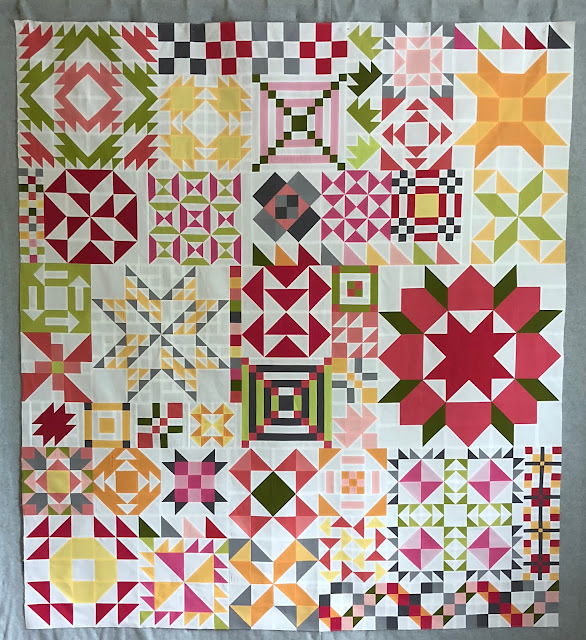 And Bits and Pieces has such a Sumer feel I immediately threw it over the banister to enjoy this month along with my other summer quilts. 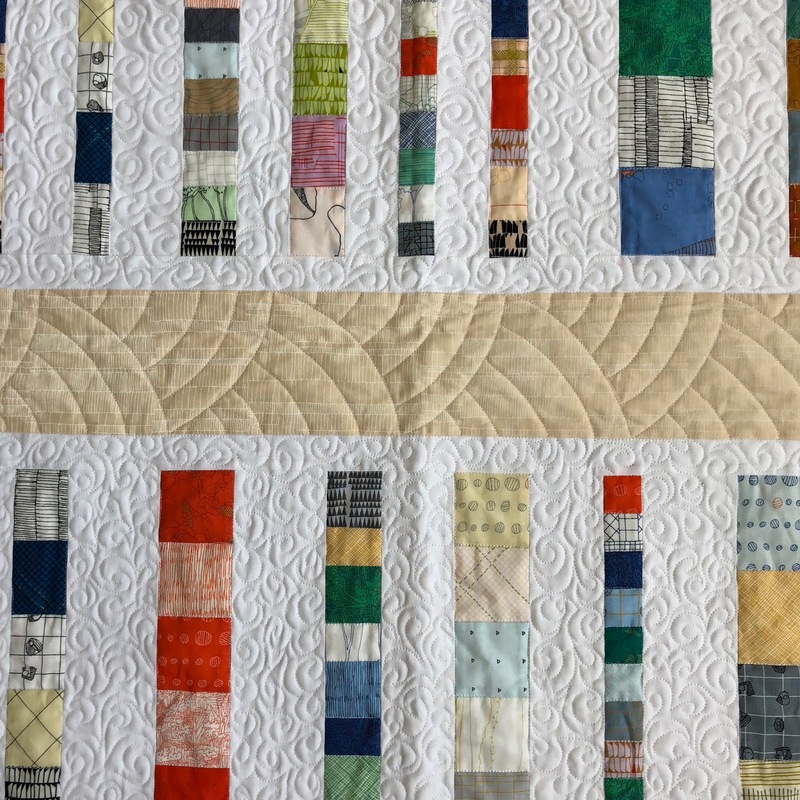 Both these quilts were quilted by Connie Lancaster at Quilts Plus in Indianapolis. With the number of quilt tops I piece it's a full time job staying on quilting lists, finding new long arm quilters and sending the tops out for quilting. 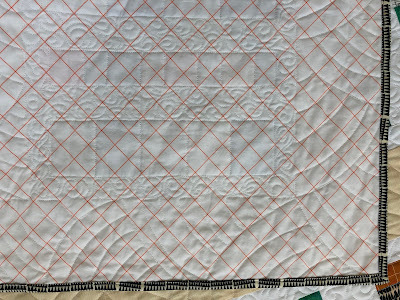 Connie has been quilting my tops for nearly as long as I've been quilting and I'm always so pleased with the finished product. 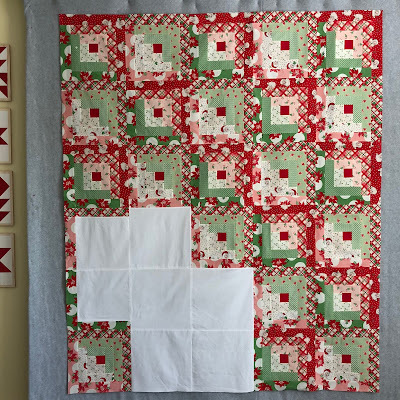 Thanks Connie for once again bringing my flat quilt tops to life. And FYI - European Union (EU) laws require me to give EU visitors information about cookies used on this blog. The only cookies involved are generated by Google, if you read this blog you are giving your consent to the use of these cookies. This will be the only notice.